None of this should come as a surprise. As I reported for Gatestone Institute, right at the beginning of the June 30 revolution, anonymous “letters addressed to the Copts threatened them not to join the protests, otherwise their ‘businesses, cars, homes, schools, and churches’ might ‘catch fire…. This message is being delivered with tact. But when the moment of truth comes, there will be no tact’.” Several popular and influential Brotherhood leaders and supporters made the same threats, including Sheikh Essam Abdulamek , Dr. Safwat Hegazy , Dr. Wagdi Ghoneim, and Sheikh Abdullah Badr. Another Islamic mob tried to “attack the main Coptic cathedral in Qena, but the military fought them off. The group moved on to attack Christian-owned homes and businesses in the area, sources said. Also on Wednesday (July 3), a mob attacked the Church of the Holy Virgin in the coastal town of Marsa Matrouh with stones, but the military also repelled them.” “It is a miracle no one was killed in the attacks” a woman told Morning Star News. Unfortunately the miracle did not extend to other Copts attacked by Brotherhood supporters. 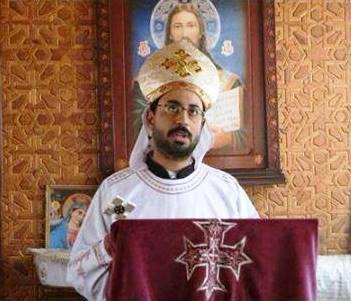 On July 6, Coptic Christian priest Mina Cheroubim was shot dead as he left his church in al-Arish, north Sinai—near the same area where al-Qaeda linked Brotherhood affiliates attacked and expelled Christian Copts months ago. Four more Christians were slaughtered by Muslims in Luxor province. The attack is being positioned as “collective punishment”: some Muslims accused Christians in the village of killing a Muslim, although Christians deny it, saying the Muslim was killed by another Muslim, but the mob decided to scapegoat the Copts. Dozens of Christian homes and businesses were looted and torched. Hundreds of Coptic villagers fled. Elsewhere in Egypt, Christians are being kidnapped and held hostage for ransom money, a phenomenon that has been on the increase, particularly the targeting of Coptic children.